Thanks! 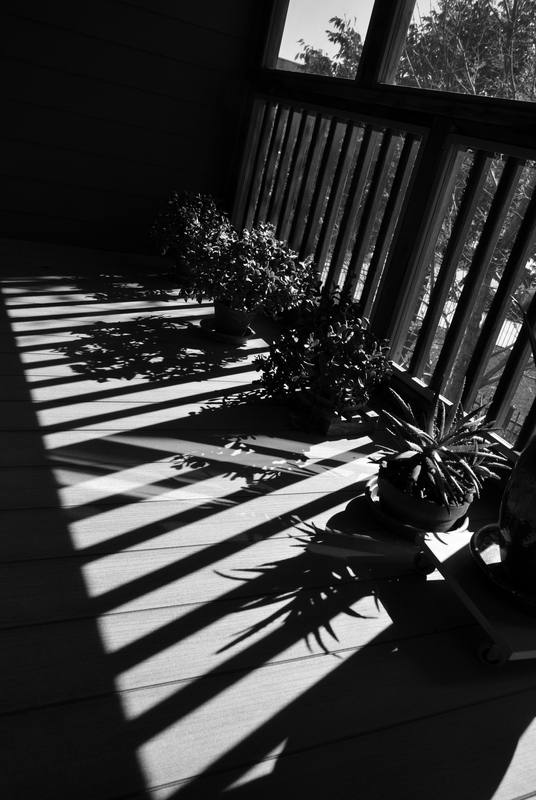 Shadow play right on the deck. It certainly was, making for a beautiful photo! Thanks. It’s amazing the cool things you can see around your own home. I like this. Because the plants are too dark but not as dark as the shadows, you pay more attention to the laciness of the plants’ shadows. Very cool. I’m glad you liked the effect. I did too! I appreciate your comment. I am intrigued by shadows and love to try and capture them. This is a very cool picture!